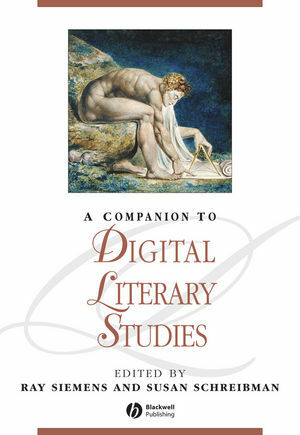 This Companion offers an extensive examination of how new technologies are changing the nature of literary studies, from scholarly editing and literary criticism, to interactive fiction and immersive environments. Ray Siemens is Canada Research Chair in Humanities Computing and Professor of English at the University of Victoria; President of the Society for Digital Humanities; and Visiting Senior Research Fellow at the Centre for Computing in the Humanities at King's College London, and Visiting Research Professor at Sheffield Hallam University. Director of the Digital Humanities Summer Institute and founding editor of the electronic scholarly journal Early Modern Literary Studies, Siemens has authored numerous articles on the interconnection between literary studies and computational methods. Susan Schreibman is Assistant Dean and Head of Digital Collections and Research, University of Maryland Libraries, University of Maryland College Park, and Affiliate Faculty in the Department of English. She is the founding editor of The Thomas MacGreevy Archive and Irish Resources in the Humanities; has served on the Council of the TEI Consortium; and is currently on the Executive of the Association for Computers in the Humanities. In 1991, Schreibman authored the Collected Poems of Thomas MacGreevy: An Annotated Edition and has published in the areas of Irish poetic modernism, digital editing and textual studies. She co-edited Blackwell’s A Companion to Digital Humanities with Ray Siemens and John Unsworth in 2004.